What made Amee perk up and get serious about changing herself was reading the scientific information and research that was showing emotions ARE based in science and biology. That they aren’t accidental. They aren’t the luck of the draw. And that we are governed every day by auto pilot functions in our brain while primitive still completely necessary. And that the auto pilot settings were established by not only the quantity of experiences but also the QUALITY of these experiences we had in childhood! But the urgency was in seeing that the understanding of brain architecture and the influence of our experiences on the development of our emotions, mental wellness, mental illness was only recent. As in – while Amee was growing up and even starting her own family, what scientists know today was JUST becoming understood. Grasping this one thing – the fact that the science is THERE but the fact that its not well known or has reached a saturation in our society yet is EXACTLY why Amee started to podcast and become an advocate for understanding how our negative, traumatic, adverse, neglectful, sometimes abusive and scary childhood experiences we all have had in one form or another – is why we, as adults – have the health and well-being issues we have today. AND if we don’t change or become aware of what these experiences are and what impacts they have on our brains, we will keep passing down from one generation to the next through the mis-guided parenting of our own kids. "Advances in brain and behavioral research have fueled a new sense of urgency about learning and school-readiness in children. Breakthroughs in brain science show how the cultural environment alters children’s brain development. Discoveries in behavioral science document the fact that early learning sets the foundation for success in school and in life." This episode features Amelia Bachleda, Ph.D. In this role, Dr. Bachleda translates and delivers accessible information about the latest research in early learning and brain development to members of the early learning community, including parents, child care providers, educators and policymakers. 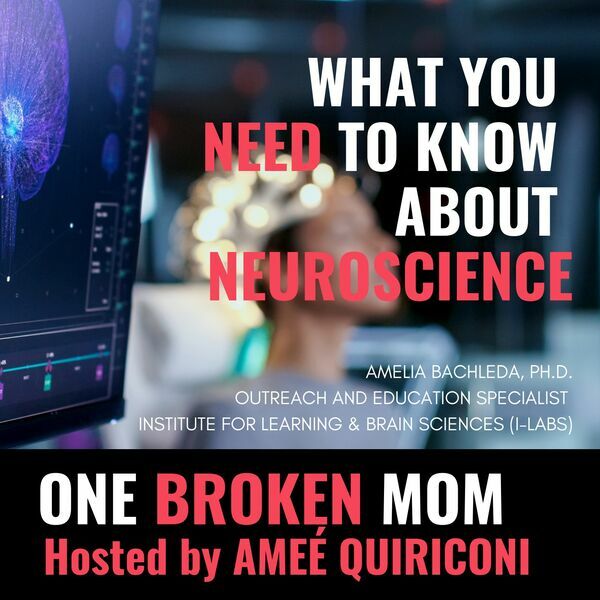 Since joining I-LABS in 2015, Dr. Bachleda has given dozens of public talks and workshops about the neuroscience of childhood and brain development. Prior to her work at I-LABS, Dr. Bachleda earned a B.S. in Neurobiology at the University of Washington and a Ph.D. in neurobiology at the University of North Carolina, Chapel Hill. Her graduate work focused on brain and sensory development. She has also developed content and curriculum materials for the Smithsonian Institution in Washington, DC and the Museum of Life and Science in Durham, NC. What is different about the study of the brain development today versus 30, 20 or even 10 years ago? What are the distinct phases of brain development in humans? Do boys & girls have different brains? Are there people who are more “sensitive” than others? Meaning there are those who may render their environment differently than someone sitting next to them seeing & experiencing the exact same thing? Is the genetic? In psychology, there is Attachment Theory which states that a strong emotional and physical attachment to at least one primary caregiver is critical to personal development. Is there anything in neuroscience that supports this? I have heard from many of my guests that are psychologists that we are “wired” to connect when we are children. What does that actually mean? How do neuroscientists define “trauma” and “traumatic experiences”? Is different than psychologists?